What comes into your mind, when you’re reading the following lines? Sounds like one of those popular descriptions of “immigrants living in a parallel society"? Wrong, anthropologist Sarah Steegar writes about a group of people called “expats”. Why doesn’t she call them migrants? Well, it’s a question of class and “race": The people she writes about aren’t from Somalia or Iraq. They’re white people and wealthy. By using a different term, a distance to “the other” is established. So, it’s not surprising to see that no Somali people are interviewed on the website about Expats in Norway. In its broadest sense, an expatriate is any person living in a different country from where he or she is a citizen. In common usage, the term is often used in the context of professionals sent abroad by their companies, as opposed to locally hired staff (who can also be foreigners). The differentiation found in common usage usually comes down to socio-economic factors, so skilled professionals working in another country are described as expatriates, whereas a manual labourer who has moved to another country to earn more money might be labelled an ‘immigrant’. There is no set definition and usage does vary depending on context and individual preferences and prejudices. I always found the usage of the word expat interesting. Personally, I never use it, and call everybody for migrants regardless their class or “race". Inspired by Steegar’s text I googled around and found that the usage of the terms expat and migrant is contested. On Wikipedia’s talk page long there’s a long debate about the meaningfulness of this distinction. Westerners don’t like referring to themselves as immigrants because the word “immigrant” has such nasty connotations. (…) An immigrant is an unwanted job-stealer, while an expat is a foreigner who could be leaving any day now. An immigrant is on a desperate search for a better life. An expat is on an adventure. (…) Our usage of these words reveals a certain double standard. Whether you’re an expat or an immigrant depends not on your residency plans, but on the relative wealth of your native country. So, my proposal is for the Guardian to amend its style guide to discourage the use of the word “expat” in its pages. The word is too redolent of the days of empire and sipping gin and tonic in the shade while the locals toil beyond the fence. It is too easily used as a cultural marker to distinguish people from one another, making it easy for some Britons to feel both superior to and separated from the local people in their host cultures. I suggest that words such as resident, visitor, settler, immigrant and tourist be used instead in order to equalise the way we describe ourselves with the ways in which we describe others. It is only fair and just to do so. UPDATE 2: Brendan Rigby has written an excellent post: Are you a Greek or a Barbarian? No idea how long I’ll be here, but while I am, I want to feel settled, and ideally integrated. And try to remember that being here is an experience, rather than an identity. The West Australian and South Australian education departments have made lists of appropriate and inappropriate words to describe Aboriginal people and culture, The Australian reports. - Dreamtime is no longer an acceptable term to describe the collection of Aboriginal creation stories, and should be referred to as The Dreaming or The Dreamings. - The term native should be replaced by indigenous groups or language groups. - Instead of saying myths and legends, teachers should say Dreaming stories, teaching from The Dreaming or creation stories. - Aborigine should not be replaced by the term Aboriginal person. - tribal should be shunned for traditional. 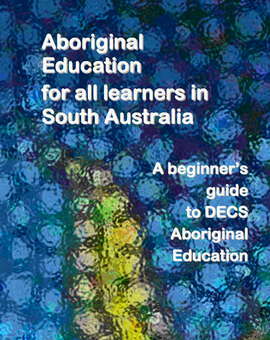 The list of terms was developed with input from a wide variety of sources, including departmental staff, Aboriginal organisations and academics. While studying an ancient language now spoken by only a few hundred people in a remote corner of Siberia, linguist Edward Vajda has found the first-ever linguistic link between the Old World and any First Nation in Canada, the Ottawa Citizen reports. “This is a big breakthrough to be able to link these", anthropologist Jack Ives said on Wednesday. Vajda found that the speakers of the Ket language in Russia’s Yenisei River region, and the Athapaskan-speaking native people in Canada and the U.S. (including the Dene, Gwich’in, Navaho and Apache) use almost identical words for canoe and such component parts as prow and cross-piece. Mr. Vajda’s claim of a Dene-Yeniseic-connection was endorsed last month at an conference in Alaska attended by linguists and anthropologists. Vajdas discovery is being compared with the 18th-century “Indo-European” revolution that ultimately classified English, French and other modern languages with ancient Sanskrit. For more information see a posts on this issue over at anthropology.net: More on Vajda’s Siberian-Na-Dene Language Link where also points of controversy are discussed. "Putting Aboriginal languages on the curriculum has improved 'race' relations"
He’s not an aboriginal Australian. Nevertheless he has to learn the local indigenous language. He and many other children say it’s fun. Teachers, parents and linguists say it is improving self-esteem, literacy and school attendance, rescuing indigenous languages from near oblivion and bringing communities closer together, according to a story in the Sydney Morning Herald. “Putting Aboriginal languages on the curriculum in Walgett has improved ‘race’ relations", the newspaper informs. Indigenous languages are being taught throughout Australia. But New South Wales remains the only state with an indigenous languages policy. 41 state schools in New South Wales were teaching Aboriginal languages to some degree by 2006 - but only a few of them offer it as their mandatory. “I’m not the indigenous person people want me to be": Anita Heiss is anthropologist and aboriginee. Their language is nearly dead. Maybe a new website can revitalize Kahtnuht’ana Qenaga: The Kenai Peoples Language in Alaska? For more than two years, the two anthropologists Alan Boraas and Michael Christian have taken pictures, navigated through HTML and digitized old audio recordings of Native writer Peter Kalifornsky in order to present vocabulary, grammar, stories and place names in an interactive Web site that went live last month, the Peninsula Clarion reports. “I hope people of all ages go to it and gain insights into both the language and the culture,” Boraas says. This project is the latest in the Kenaitze Indian Tribe’s endeavor to revitalize their Native language. Finding people who actively speak the Dena’ina language is one of the most difficult parts of revitalizing it. The credit for much of the Dena’ina revitalization goes to James Kari, who spent 30 years working on a dictionary. How to save Tibetan folk songs? Put them online! You can find a copy of Harry Potter, translated in Greenlandic, at the local library of Greenland's capital. Also available are the translated works of William Shakespeare, Charles Dickens and Ernest Hemingway. Fifty Greenlandic publications are produced each year, says Carl Christian Olsen, head of Greenland's language secretariat and chair of the languages commission. On the streets of Nuuk, Greenlandic is often spoken by children, who all seem to carry cellphones. They send text messages to one another, in both abbreviated Danish and Greenlandic, shortening words like qujanaq, or thank you, to qujan. While Inuit in Nunavut were punished for speaking Inuktitut in residential schools, Greenland has a long history of teaching Green­landic in schools, since the early 20th century. It's also a consequence of having those missionaries decide that the language ought to be written with standard Roman orthography, rather than the more-difficult-to-reproduce syllabic system popularized by missionaries in Canada's eastern Arctic. Nunatsiaq News also writes about Qikiqtani Inuit Associ­ation (QIA) that wants the Government of Nunavut bring in new laws that would give the Inuit language the same status within Nunavut that the French language enjoys in Quebec, see QIA wants language laws dumped, re-written. Sociologist Lars Laird Eriksen has written an interesting blog post about why academic texts often are so badly written. When academics try to write, it often becomes so full of jargon and it's a turture for the reader. So why is this so? 1st reason for difficult language: Trying to sneak yourself to academic status. 2nd reason for difficult language: Not knowing exactly what you’re saying and hiding behind grand words. 4th reason for difficult language: Common sense language is not specific enough. 5th reason for difficult language: Common sense language is too politicized. 6th reason for difficult language: Common sense language is what is being analysed. It conveys to me that when an idea is better understood, it can be expressed more simply. This also explains why cutting-edge research often is difficult to read: No-one has thought these thoughts before, so we are still on the learning curve of making them easier to think and say. Which reminds me: Sometimes a text is difficult to understand, even if it is written in plain language - it could be because it is saying something new and different, something requires the mind to change direction for a while and think differently. Thomas Hylland Eriksen (Savage Minds): What is good anthropological writing? It is insufficient to understand deaf people as disabled. Most deaf people rather see themselves as members of a cultural and linguistic minority. They are proud of their culture. And they face identity obstacles similar to those faced by many other minority members. Therefore is it important to change the attitudes from the medical definitions and into an understanding of the deaf as a linguistic cultural group. These are some of the main findings in a new book by Norwegian anthropologist Jan-Kåre Breivik called Deaf Identities in the Making. Local Lives, Transnational Connections. "Why fix healthy deaf children through CI surgery? We do not need that. What we need are more hearing people that want to play on our team - as we are - as Deaf people. we need more people willing to use the key to our culture - the sign language." "I did not accept myself as deaf. My family and the local environment did not give me the means to appreciate that side of my self. I was the only local deaf person and what I head about deaf persons was almost exclusively negative. The "deaf and dumb" stereotype was around me and became part of my own experience. I was constantly trying to be part of my hearing environment, but of course I couldn't pass as a hearing person. I was constantly frustrated, never getting access to what the others were speaking about. At the age of eighteen, (...) I stated to visit the deaf club. Here I also found a new friend. I began to accept my deafness, and gradually I aquired a sense of pride for being deaf. I felt as if I had been given a new life, when I began accepting myself as deaf. I got more out of life and the companionship with other deaf persons. We shared the same identity, the same culture, that we were facing the same problems of communication and language in society. Within the Deaf signing community, deafened people are often viewed as suspect figures. This is because they are not accepted as being really deaf, and they are often accused of being too willing to pass as hearing people. "In the United States, there are extremely deaf conscious, and where you must be second- or third-generation deaf to be counted as a real deaf person." "Deaf Power can be compared to being proud to be from Norway, and be extremely conscious of that. Such self-consciousness can turn into nationalism. This scares me, and I experience this constantly. At each youth camp, there are always some extreme types. Their messages do not differ from other extreme nationalists. It is always us vs. them." One of the key lessons I have learned, as a hearing person who has been immersed in deaf life through my anthropological research, is that the phrase "being at home among strangers" (Schein 1989) goes to the heart of the identity question. This is about deaf people's frequent departure from biological roots and the hearing, settled world, and their search for "equals" in distant places. "I was present one month before school started up, and by that time I was able to make myself understood and I could capture most of what they told me. After three months, I was almost fluent in American Sign Language." Japanese, she tells, is totally incomprehensible. Nevertheless she's convinced that she would have managed Japanese "after a few weeks." Deaf people embrace the new communication technologies like internet and email. For many of them, the Net is a window toward the world, several informants met their husbands/wives there. On the internet, they are able to communicate with strangers freely without any consideration of hearing status. I'm halfway-through the book that actually qualifies to become one of my favorite anthropology books. It describes a - for hearing people - totally unknown world and turns some of our assumptions upside down. The book is also an example for good anthropological writing! Anthropologist Karen Nakamura is going to publish a new book called Deaf in Japan. It will be out in August 2006. Grace Keyes: "Hearing has been neglected in studies of enculturation and personality development"